DISTINGUISHED RESORT STYLE living at it's finest. 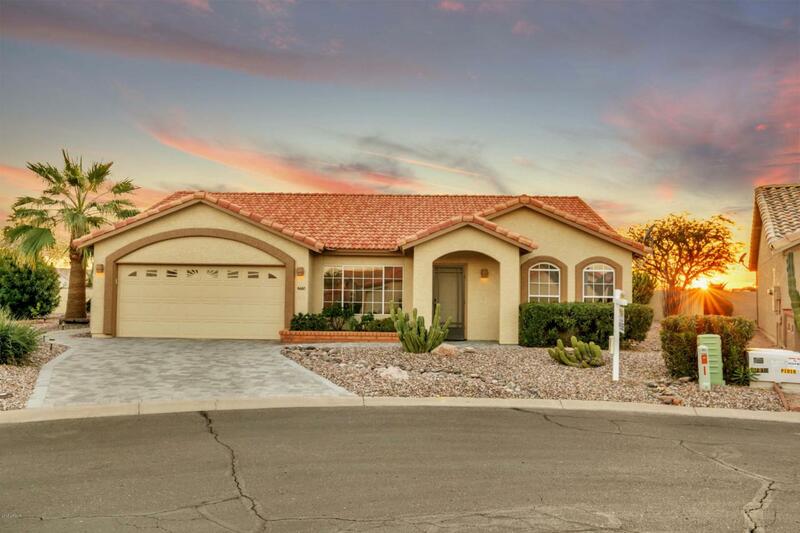 Gorgeous 2 bdrm, 2 bth fully remodeled home on a private, oversized pie shaped lot w/mature landscaping and lighting, pergola w/2 shades, fans, gazebo w/fan & light, hot tub, water feature, and gas firepit. PLUS, custom made outdoor slab granite kitchen oasis perfect your festive entertainment and/or for your quiet moments. Enjoy delightful patio w/a stainless steel BBQ grill, granite sink, dishwasher, gas cooktop, wet bar, ice maker, refrigerator and wood fired pizza oven. Enjoy the captivating Arizona sunsets from your impeccable and outstanding outdoor living areas. Beautiful front appeal has a brick paver driveway. Step inside to enjoy a gourmet kitchen with custom cabinets,tile updated,lights w/ Control4 intelligent system See Today!